World Record-holding beatboxer and acclaimed rapper Testament smashes together UK Hip Hop with the iconic poetry of William Blake to create his first original theatre show. Celebrating the greatest counter-cultural voices in British history, Blake Remixed fuses music and storytelling with a live DJ and interactive video. 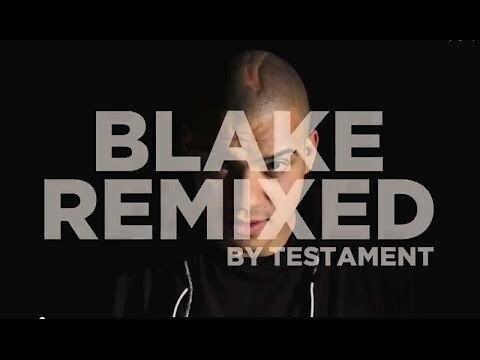 Made in collaboration with Scratch DJ World Champion DJ Woody, this is the story of how William Blake and Hip Hop changed Testament’s life forever. Features interactive filmed appearances from MOBO winner Soweto Kinch, Mercury nominee Ty, UK rap legend Jehst and world renowned beatboxer Shlomo. Through a varied career Testament has worked with leading artists including Herald Angel award winner Kate Tempest and Grammy winner Corinne Bailey Rae. Supported by Trust Greenbelt. The show previewed at West Yorkshire Playhouse, before being performed as part of the Edinburgh Festival Fringe 2015 at The Underbelly. Filmed appearances by (in order of appearance): Jehst, Soweto Kinch, Shlomo and Ty.